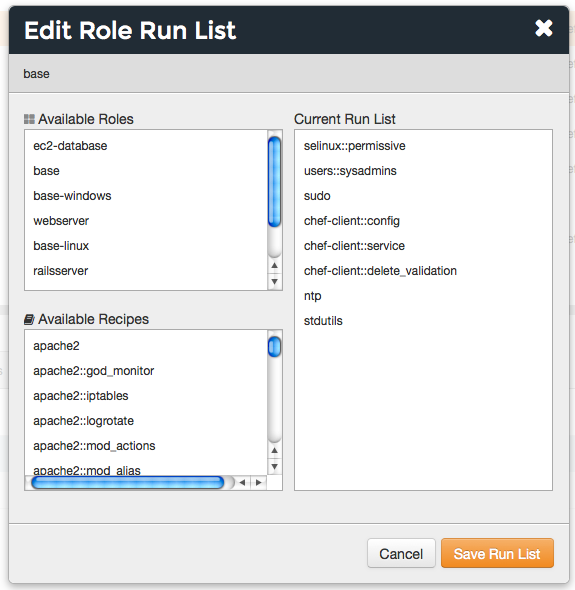 This topic is about using the Chef management console to manage roles. A role is a way to define certain patterns and processes that exist across nodes in an organization as belonging to a single job function. Each role consists of zero (or more) attributes and a run-list. 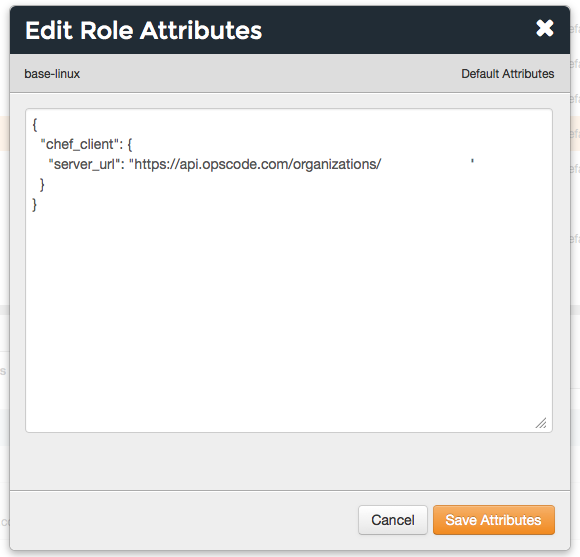 Each node can have zero (or more) roles assigned to it. 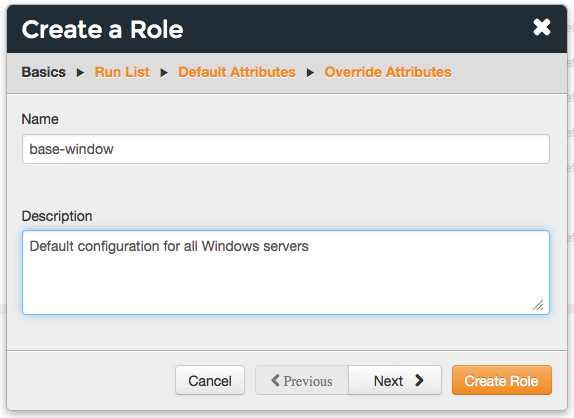 When a role is run against a node, the configuration details of that node are compared against the attributes of the role, and then the contents of that role’s run-list are applied to the node’s configuration details. When a chef-client runs, it merges its own attributes and run-lists with those contained within each assigned role. 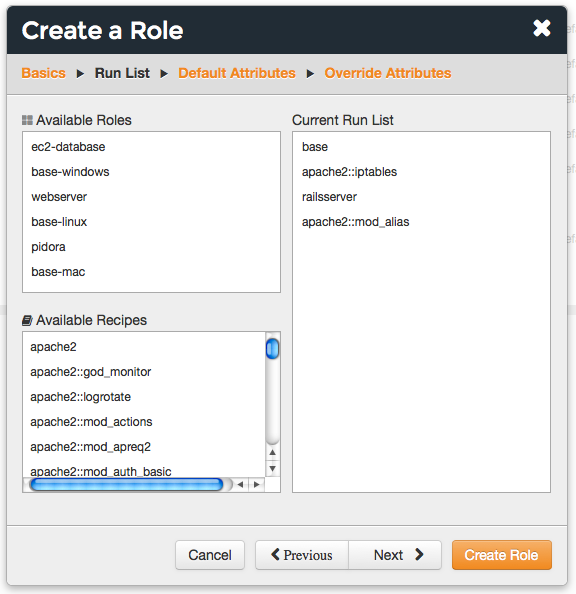 Roles can be managed from the Chef management console web user interface. 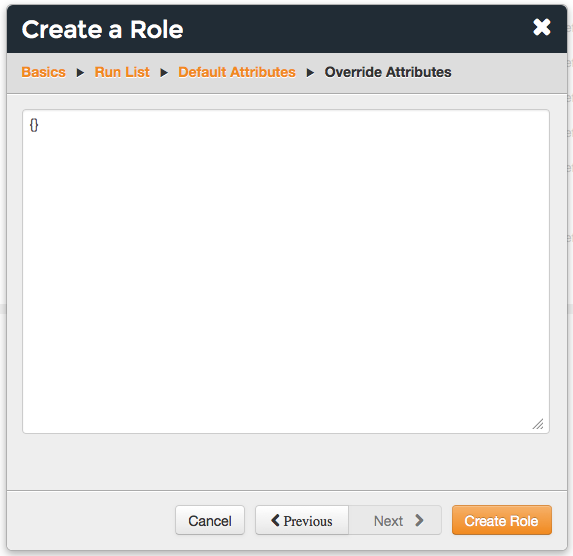 In the Create Role dialog box, enter the name of the role and a description. 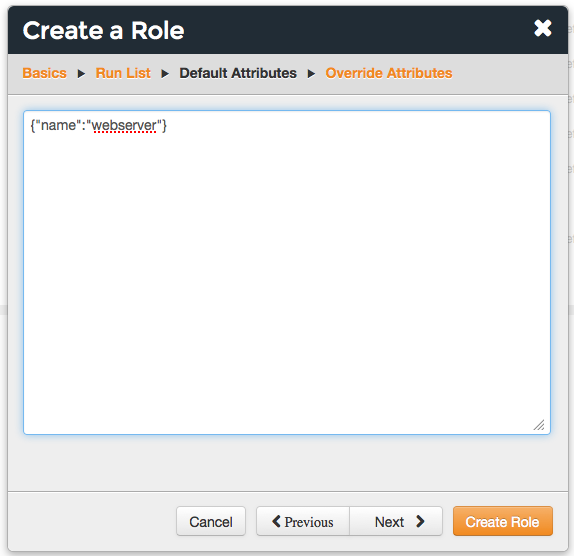 In the Edit Role Attributes dialog box, enter the JSON data that defines the attribute (or attributes).